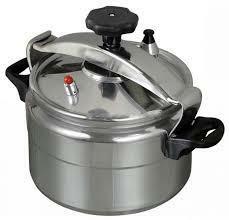 Pressure cookers have increasingly become popular among many people owing to the time and energy they save during while cooking food. They cook food in a sealed container by creating high pressure by trapping steam the high pressure raises the boiling point of water which allows the food to cook at a high temperature thereby decreasing the cooking time substantially. It decreases the cooking time by over two-thirds as compared to conventional cooking methods. There are many different types of pressure cookers available in the market ranging from cheaper single-purpose models that come with one pressure setting to higher-end multi-purpose models that offer multiple pressure settings and thus a greater range of functionalities. If we want to classify the types of pressure cookers in accordance to the features that they offer, we can divide pressure cookers into two broad categories: single purpose pressure cookers and multi-purpose pressure cookers. As mentioned earlier, these types of pressure cookers come with a single pressure setting and therefore offer limited functionality. 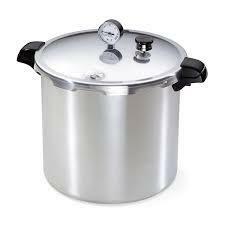 They can be electric pressure cookers or stovetop pressure cookers. Although you can cook most dishes in a single purpose pressure cooker, you do not always have as much control over the cooking process as you would in a multi-purpose pressure cooker. These are high-end pressure cookers offer a variety of different functions and add versatility to your meals. Apart from normal cooking, they may also offer steaming and searing. With their adjustable temperature and pressure settings they allow more specialized control over different types of cooking tasks. Some multipurpose pressure cookers offer the functionalities of a slow cooker, rice cooker, steamer and many other different appliances as well. Wouldn’t it be a good investment to buy one such device that can perform the function of many other devices and add versatility to your cooking options?